Cheap Weekend Fun in Boston for May 30-31, 2015! There’s a lot of fun things to do this weekend in Boston! 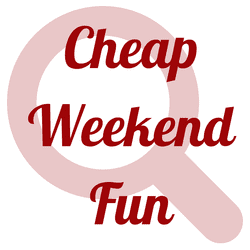 Please let me know in the comments below if I missed any fun and cheap things to do this weekend! The Trustees Home Sweet Home Open House: Sunday, May 31, 2015. 11 off-the-beaten path cultural sites across the state of Massachusetts are opening their doors for FREE admission on Sunday! 8th Annual Fresh Pond Day: Saturday, May 30th, 2015 in Cambridge. Enjoy a wildlife parade, live music, kids activities and much more for this annual Fresh Pond Day! JP Mom’s Yard Sale: Saturday, May 20, 2015 from 9am to Noon at St. John’s Episcopal church located at 1 Roanoke Ave in JP. Over 30 families are hosting a yard sale with clothes, toys, and gear for all ages!